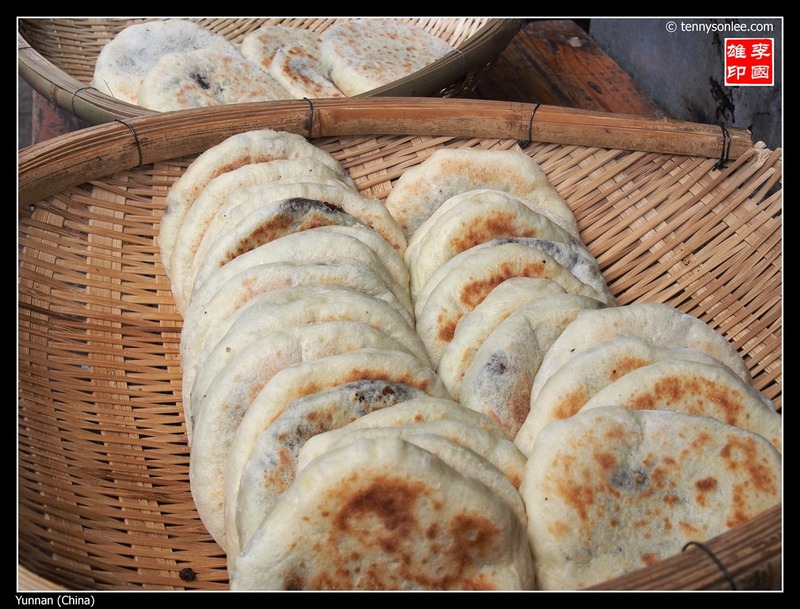 Another popular variation of the rice noodle is rice pancake (饵块). It can be BBQ and wrap with choices of fillings, or stir fried with chilli. 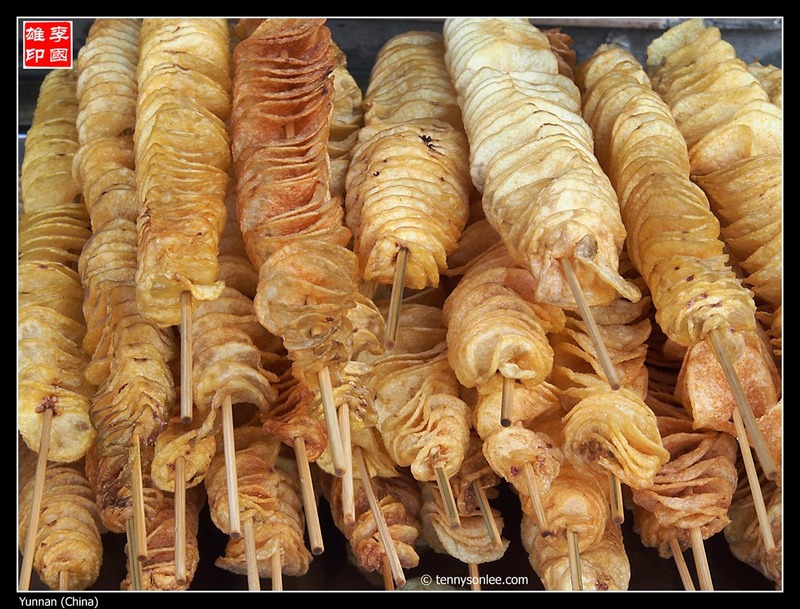 Most of these cuisines and snacks look interesting but may not suit everyone’s appetite. 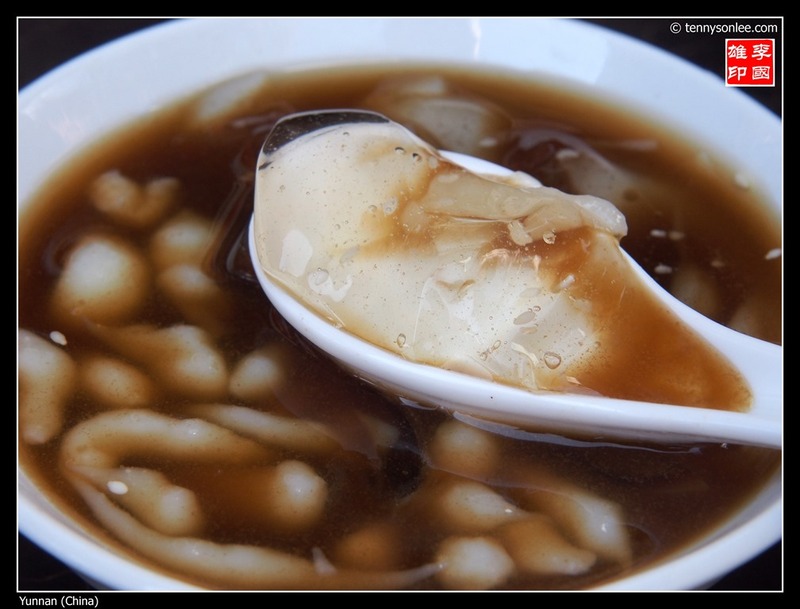 My personal favourite has to be the BABA, especially peanut sugar baba sold at Guandu Old Town (the name of the shop is “Spectacle Baba” (眼镜粑粑). RMB2.50 per piece. 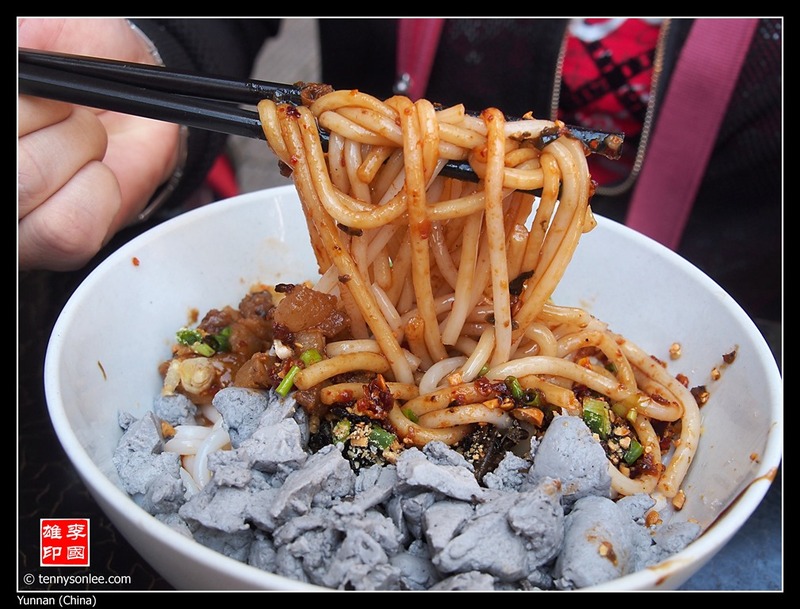 There are other fillings like red bean, sesame etc. 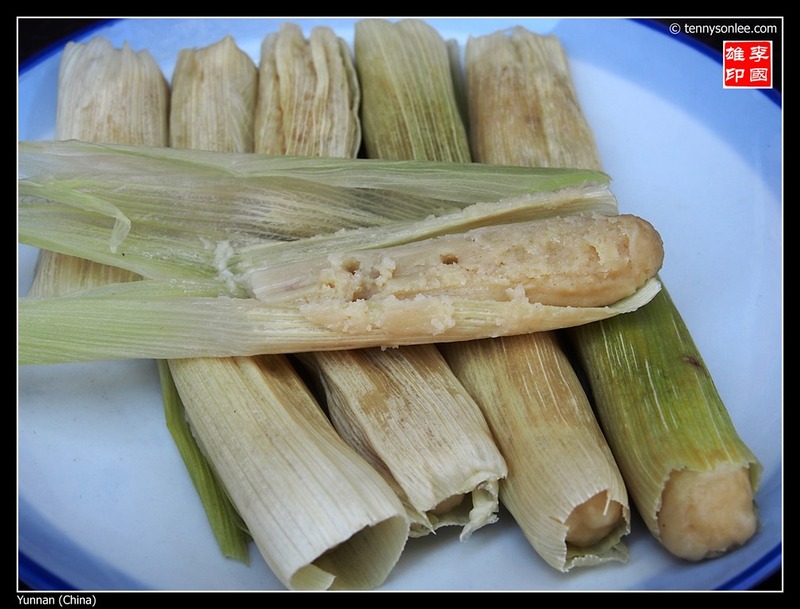 The corn BABA (玉米粑粑) looked interesting and better eat if you are hungry. Papaya drink is the transparent jelly. The whitish worm liked items are made of rice. 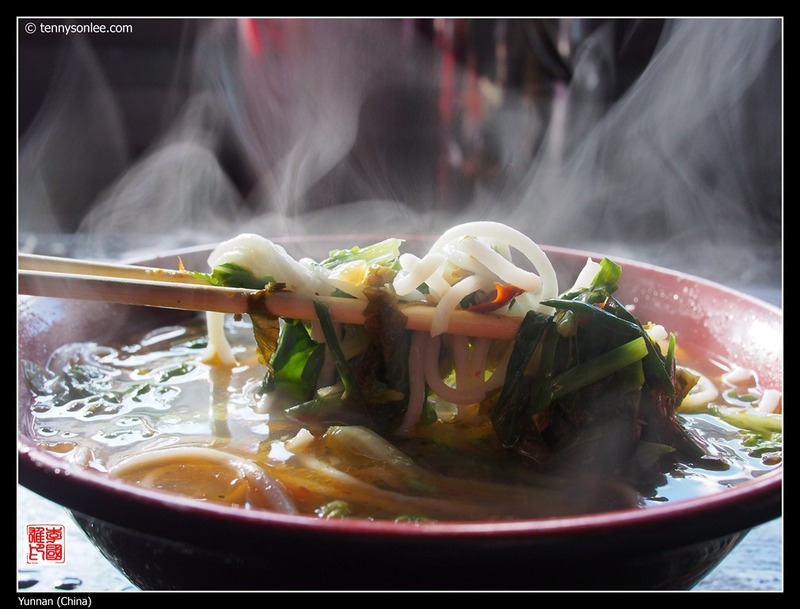 Of course, there are so many more local cuisines that you need 4 stomachs to complete the food quest. 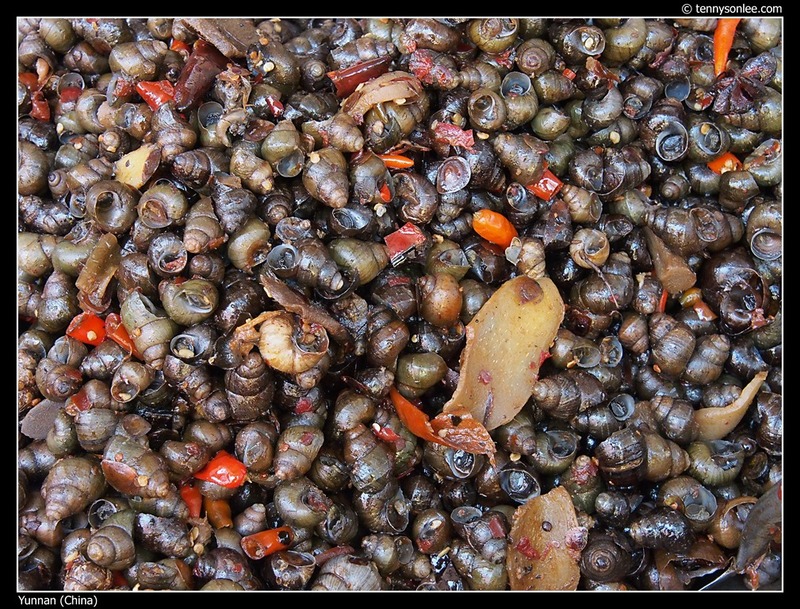 The common characteristics are a bit spicy (relatively mild to Malaysia taste buds) and oily. Wild mushroom tasted good. 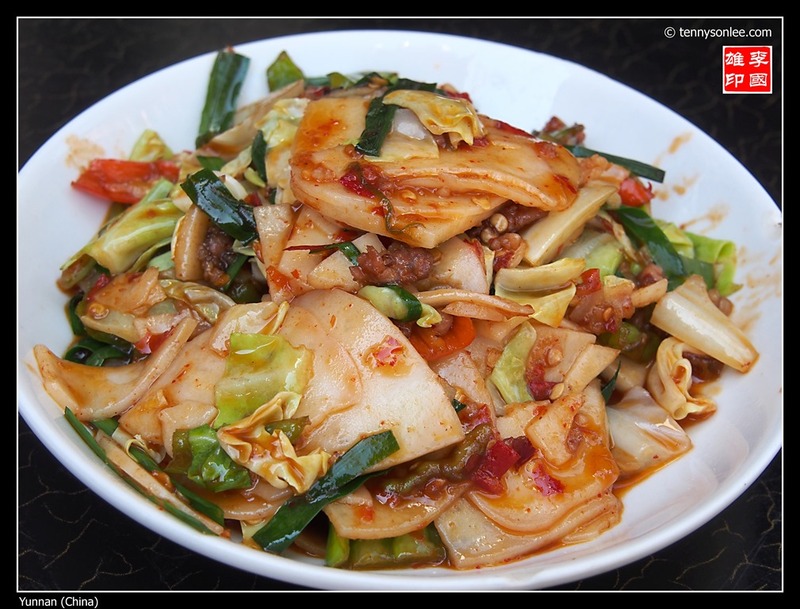 In fact, ordering vegetable dishes typically cost RMB8, with generous serving. 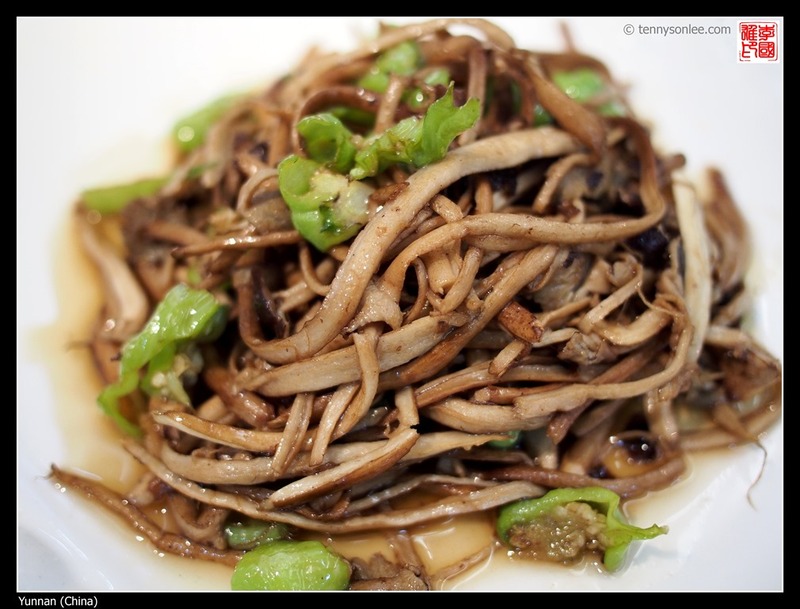 If you order meat, the average cost would be RMB40 to RMB100+ per dish. Most of the meat are fatty to my personal taste so I prefer to eat vegetables. 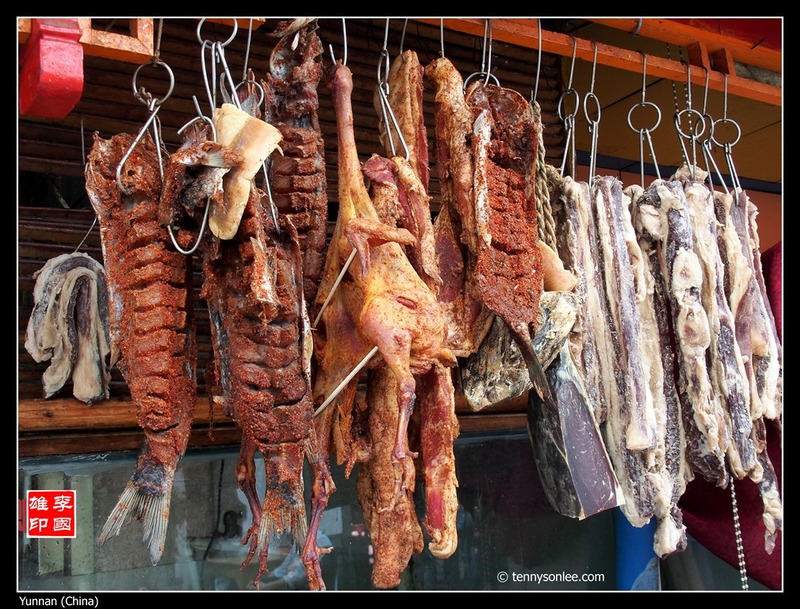 This is especially true if you travel to mountain ranges where refrigerated meat may not be as fresh. During our trekking trip in Nepal, we only ate vegetarian foods to avoid food poisoning. When you are in larger town where supply of electricity is reliable, then meaty cuisine is less of a worry. 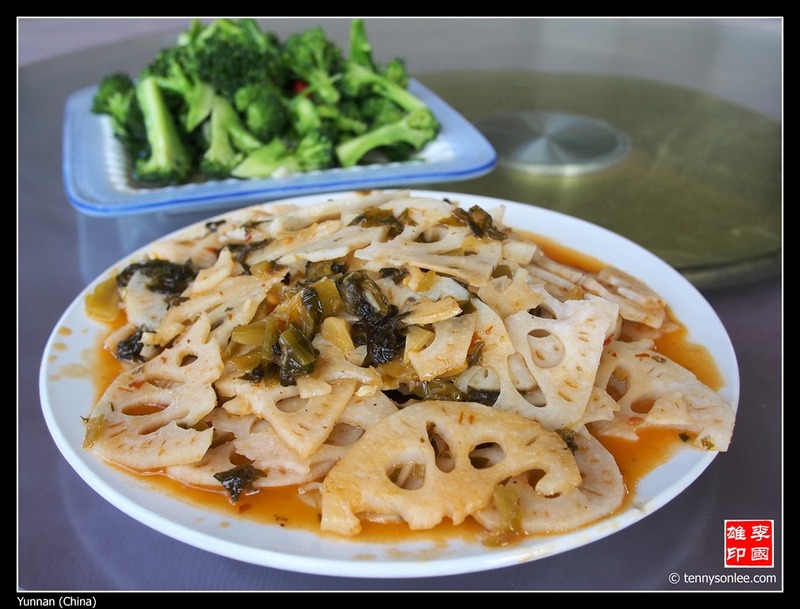 In Vietnam, it is common to mix rat meat into dishes and you won’t know what kind of meat eventually. 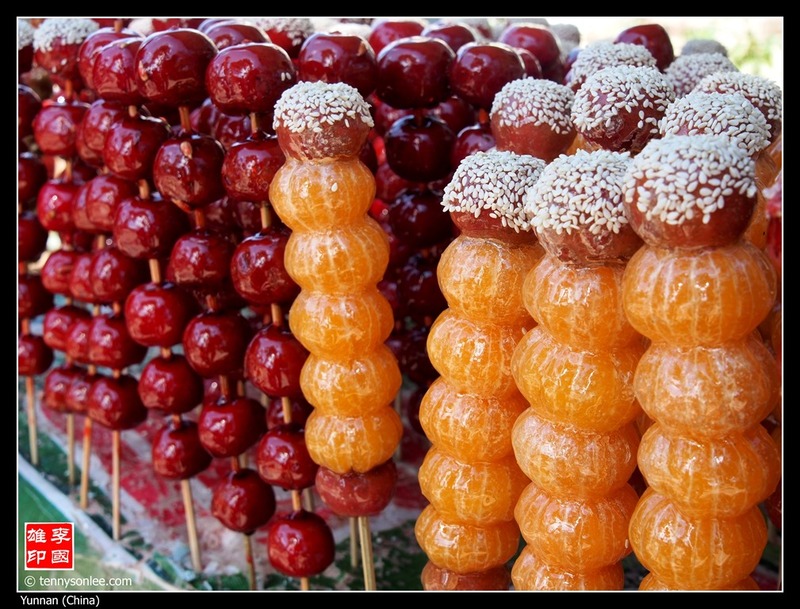 The dessert looks attractive but after knowing layer of dust (by the roadside), you shall think twice before getting a stick. 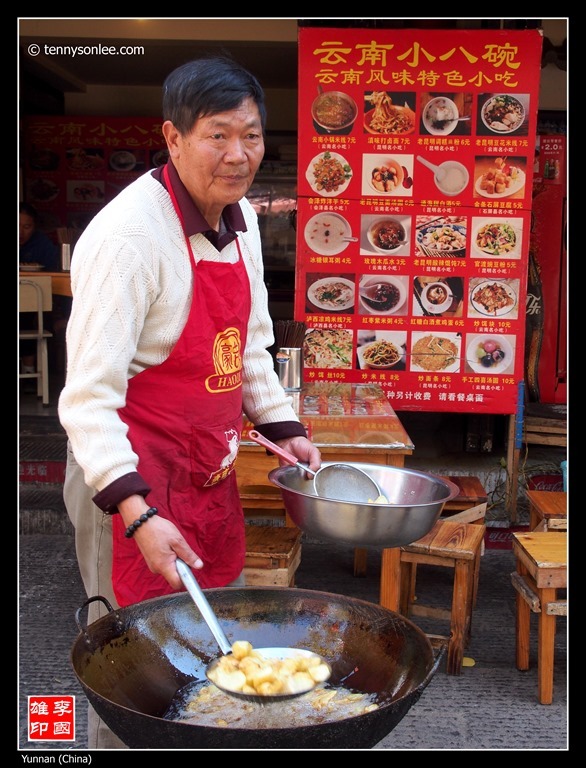 According to reason study, a significant percentage of the frying oils used by hawkers and restaurant are from recycle oil collect from the drain. If you don’t questions, all the foods still look tasty and good. What the hack, life is short but modern medical treatment can prolong our suffering. Just eat it while we still have real teeth. This entry was posted on November 1, 2013 by Tennyson. 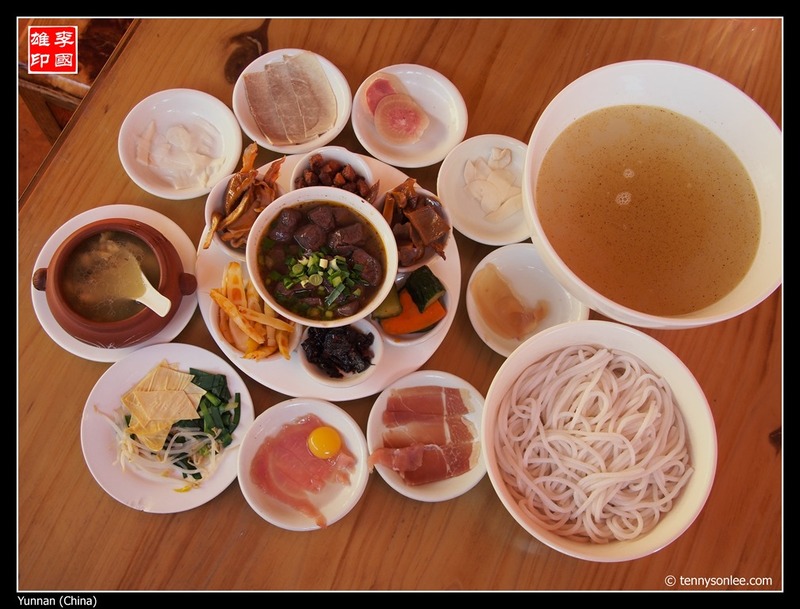 It was filed under China, Food, Yunnan .